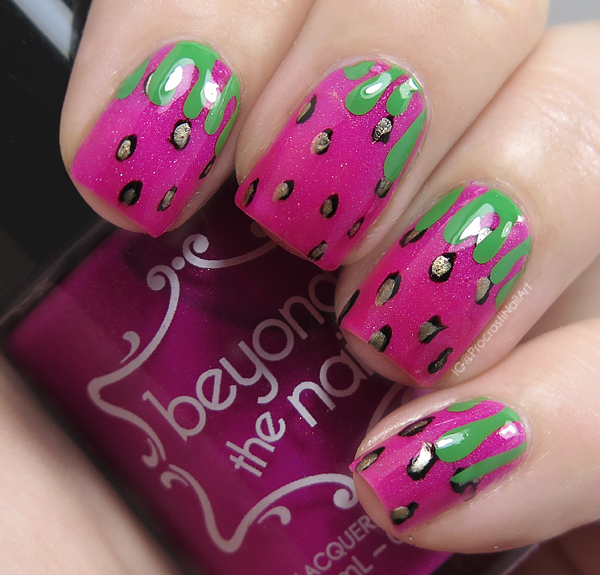 I sat down to do some Born Pretty Store reviews the other night and for whatever reason as soon as I saw these dripping nail guides I knew I had to use them to make strawberries. Why is that the first thing my mind thought of? No freaking clue haha. But it works! 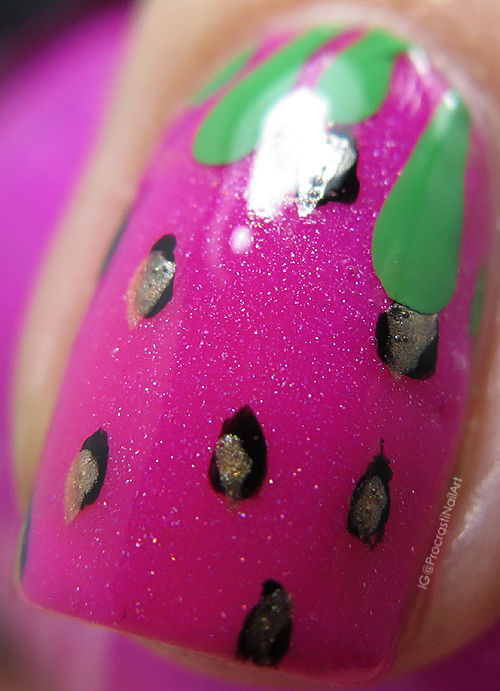 This look started off with a base of Beyond the Nail Cosmic which has just a hint of holo, and then I drew on my strawberry seeds with my nail art brush and Ceramic Glaze Little Black Dress followed by Sally Hansen Fool's Gold. When my base was fully dry I applied my guides and painted on my drippy leaves with MoYou London Fresh Basil. 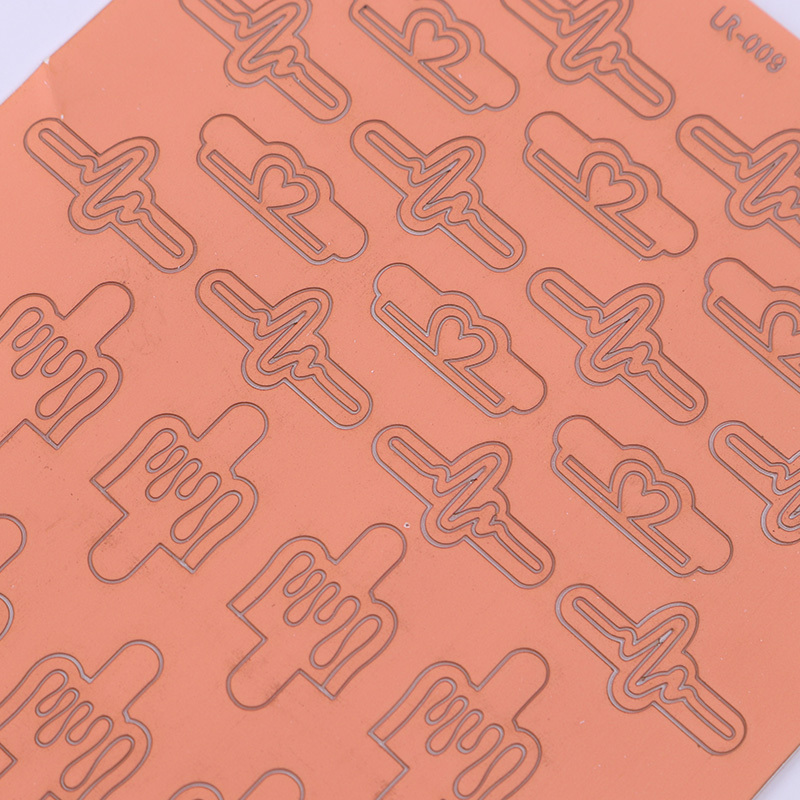 As you can see these guides have a few different shapes: drips, hearts and the heart monitor zigzag thing. What I really like is that each guide has two different pieces that you can use, AND I found that you can easily re-use the same piece at least twice. So this sheet will last you a really long time! These guides are currently on sale for $1.49, but even when they aren't on sale you can get them (or any other products!) at a discount with my code ASZW10 for 10% off! Really cute! Those nail guides seem to work pretty well too. 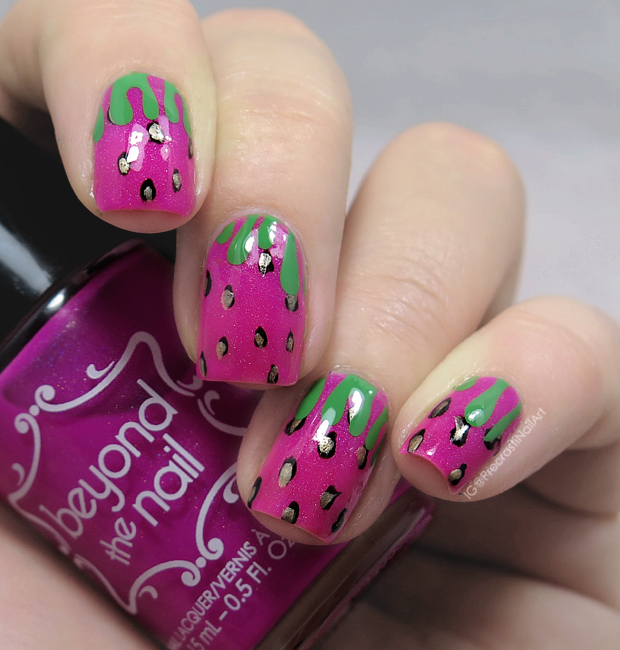 Adorable manicure! I also love the efficiency and reusability of the sheet! Vinyls hate me but they are so cool and fun looking. I love how you utilized these. I would have never thought about strawberries. This is so pretty! And I love the pink base!